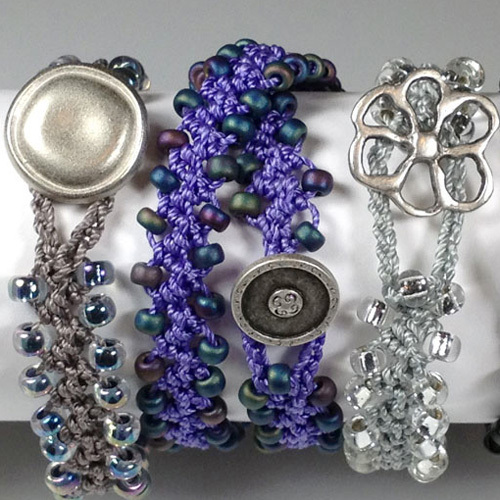 For Barefoot Sandals, get 1 Full Kit and 1 additional Bead & Button Package. 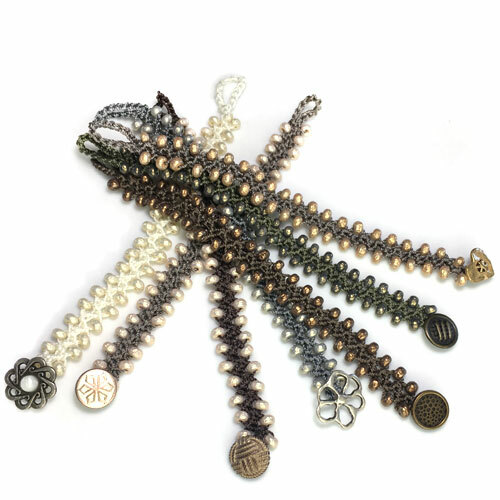 For Barefoot Sandals, get 1 Full Kit and 1 additional Bead & Button Pack. Note: The current White Baroques are creamy in color and come with the Flower Button shown with Silver. 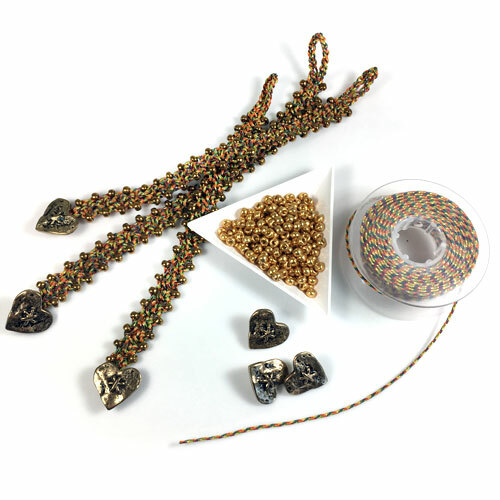 The SuperMax Thread Burner is perfect for melting the ends of the cord. It comes with 2 AA batteries for domestic order. Sorry - the batteries have to be removed for international orders. 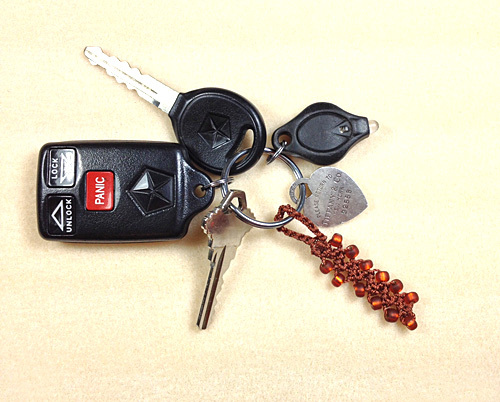 Make a key chain ornament, a zipper pull or a purse embellishment... 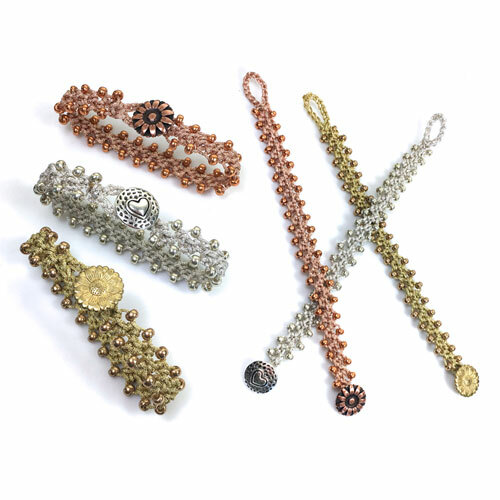 Mix beads... Let your imagination soar and have fun with this technique. Copyrights - This design is an adaptation of a traditional design. Only the instructions are copyrighted, not the actual design. You welcome to make and sell as many bracelets as you wish but please understand that the instructions are for personal use only. 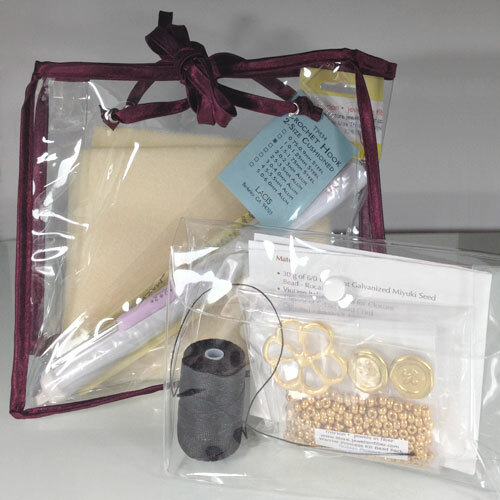 If you would like to use these instructions to teach, buy kits for your students. Do not duplicate the instructions either in print or in an electronic manner. When purchasing the kit or PDF listed above, it is assumed that you agree with the copyright terms of this document included in the kit. Thanks for understanding!